There has been plenty of focus on so-called vulture funds since they entered the Irish market following the financial crisis, but a decade on and despite all of the attention, much uncertainty and mystery still surrounds exactly who these funds are and what they are doing in Ireland. When we refer to vulture funds, what we're essentially talking about are various forms of private equity firms and pension funds. They invest across a series of asset classes, one of which is debt. The business model is very developed in the United States and elsewhere in the world, but here in Ireland we're still coming to terms with the concept. Why are these funds buying mortgages that are in arrears? In the wake of the housing crisis, all of the main Irish banks were left with a significant number of mortgages that were in arrears, with many of these loans going into long-term arrears. For the most part, banks are not willing to write down debt for borrowers who are struggling to make loan repayments - and they arguably cannot be seen to be publicly making such concessions. But, for a variety of reasons, banks need to reduce their exposure to bad loans on their books. The higher the ratio of bad loans to good loans a bank has on its balance sheet, the less financially stable that institution looks. In addition, the European Central Bank has recently been putting more pressure on Irish lenders to reduce the number of non-performing loans they have on their books. This is where vulture funds come into play. In many cases, banks are happy to sell large portfolios of non-performing mortgages to these funds, and generally at a significant discount when compared to the original value of the loans. What's the issue with a vulture fund owning your mortgage? Traditionally, the funds don't tend to stay around for too long. The business model in many cases sees them buy the debt at a discounted rate from a bank and either agree a restructure with the borrower - meaning they can sell the loan on at a profit - or else potentially seek to repossess the property secured against the loan and crystalise their profit. Critics of vulture funds say they are not interested in negotiating with borrowers to help them restructure their loans so that they're sustainable, rather they simply want to get their hands on the discounted asset they've bought... the mortgage holder's home. New Beginning is an organisation helping people in mortgage difficulty. Its CEO, Ross Maguire, believes these funds are part of the solution to resolving the outstanding bad mortgage loans on banks' books. "Banks are pretty hamstrung when it comes to dealing with non-performing loans. They can only do so much. "Debt write-down is really not something banks like doing - for obvious reasons. "If they give you debt write-down, how can they then the next day lend out money to people and expect and demand that it be repaid in full? "They're very different creatures from banks, but they are, in my view, better suited to deal with non-performing loans. They have a track record, they have worked well in other markets in which they've dealt and they're working well in Ireland." However, Mr Maguire says these funds are "more commercially driven" than a bank. "They are more likely to be knocking on your door tomorrow as opposed to letting matters pass for very long periods of time." There are around 14,000 mortgages where the borrower has been in default for five years or more - these are the borrowers most at risk of losing their home. "Funds won't tolerate that sort of behaviour because they are commercially driven and time is an important part of their equation - they have to fix these loans quickly. "You can expect to be dealing with the fund in a much more immediate manner than you would with a bank. "They're more motivated (than a bank) to resolve non-performing loans. "They also have a wider ability to do deals, so debt write-down is very much a part of a fund's world." Do borrowers have anything to fear from vulture funds? "I think borrowers who are keeping their head down and not paying have a lot to fear. I think if you're playing the game these funds will be more aggressive. "At the same time if you're up for a deal and you're willing to make what can often be a sacrifice to make that deal work, you've nothing to fear." On the terminology used in relation to vulture funds, Mr Maguire believes "the phrase vulture funds is used a lot now but what we're talking about really are pension funds or various forms of private equity. "They invest across a series of asset classes, one of which is debt. This is a very developed model in the US." However, CEO of the Irish Mortgage Holders Association (IMHO) David Hall is of the view banks are to blame for bringing about a situation where vulture funds have entered the Irish mortgage market. He says vulture funds are "a symptom of a failed banking system and its lack of being able to resolve people who are in mortgage arrears. "Banks through sheer incompetence and an unwillingness to engage and resolve those, and an obsessive compulsive disorder about not writing off any debt, allowed a situation develop where the European Union is insisting on action being taken years later." Responding to the idea some borrowers are actually better off with vulture funds owning their home loan, Mr Hall said this "myth of 'you're better with a vulture fund' is absolutely factually incorrect. Vulture funds don't provide 87% of the 120,000 mortgage restructures that have been done heretofore. So, how is it if you can't pay your full mortgage are you going to have a chance of a restructure with a vulture fund? "If you want to lose your home and have your debt written off, absolutely sign up to a vulture fund - best gig in town. "If you want to stay in your home and are unable to make full payments on your mortgage, you've a big problem with a vulture fund." He describes vulture funds as "despicable beasts where their sole interest is the asset, they're not interested in the circumstances of the family. It is purely a play on income". What if a fund buying loans isn't regulated to do business in Ireland? Many of the so-called vulture funds buying up mortgages from Irish banks would be international pension or equity funds, which in a lot of cases, would not be regulated to do business in Ireland. Therefore these funds employ local third-party fund managers, who are regulated to do business in Ireland, to manage loan books on their behalf. These intermediaries are commonly known as credit servicing firms (CSFs). One of these CSFs is Mars Capital, which has been operating in the Irish market since 2014. The company was acquired by FTSE-listed Arrow Global late last year, and the parent company is keen that Mars has a more open approach towards both customers and media. Colin Maher is Chief Operating Officer for Mars Capital's Irish and UK operation and is based out of the firm's Dublin office. He says the way his firm manages loans is "exactly as you would imagine that the banks in Ireland would do it. "It's very much around the normal administration activity such as collecting payments and sending out loan statements - so a lot of what we do is quite routine. "There are obviously accounts where customers are not maintaining their payments or are in arrears and our job is to engage with those customers on behalf of the loan owners and, again as a bank would do, engage with them to come up with a resolution option, to assist them with making payments or to agree a payment strategy to return them to a stable footing." On the suggestion that funds are more interested in the home than the homeowner when it comes to dealing with borrowers, Mr Maher says the direction he has been given is to look for "sensible long-term solutions for customers. "We're not in the business of looking to seek possession where the customer is engaged and where the customer is making a meaningful sustainable repayment. "If the customer is willing to talk to us, if the customer is willing to pay what they can afford, we will engage with the customer for a long-term solution." Are funds doing the banks' dirty work? In response to the suggestion that vulture funds are doing the banks' dirty work, Mr Maher says "that more or less implies the funds and credit servicing firms are only interested in repossessions. Certainly for customers that are not paying, are not engaging with the fund or CSF, that unfortunately at times is the only option. "However, we would consider it here, and I know a lot of credit servicing firms are the same, that it is never too late to engage. "So that even if you're progressing through the courts, or prior to an eviction order being ordered, we will talk to people if they have a meaningful solution for us. "While it is true to a degree to say the funds are doing work that the banks may not necessarily want to do - for various reasons - it is also important to say that that's not the fund's or CSF's sole reason to be in Ireland." Are vulture funds looking for a quick turnaround? Colin Maher says Mars Capital looks at the individual customer circumstances to determine what arrangement is right for that customer. "That could be a longer term treatment, it could be a short-term forbearance, because don't forget sometimes customers only need a short-term arrangement to get them back to a sustainable platform. "We are finding though with the nature of some of the non-performing loans that we have, and obviously the distress that people have been through, is that longer term treatments are required. "And to be quite honest it is more beneficial for the consumer and for us if we can agree a sustainable level of repayment rather than pursuing aggressive repossession strategies, that it keeps the customer in their home, it gets a level of repayment in on the loan each month, and I think that is in everyone's best interest." 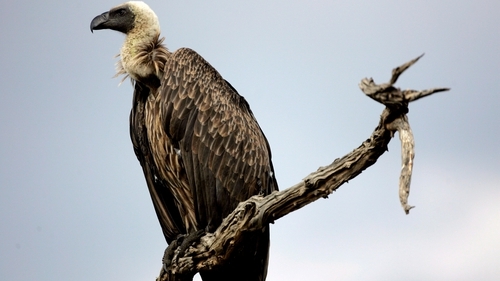 What's a vulture fund's view on debt write-down? "We have considered debt write-down where a customer has voluntarily sold the property. "If somebody unfortunately has decided to leave the property because the mortgage is unsustainable, and sells the property for a fair market value, we have on occasion considered the write-down of the residual balance. "If the customer is staying in the property and they can't afford a large portion of it, we wouldn't necessarily consider a debt write-down." How much power do credit servicing firms have? "In general credit servicing firms are given delegated authority to make decisions on individual customers' accounts and I think that's important because as a regulated credit servicer you're the ones engaging with the customers, you're the ones who have to sit in front of the consumer and identify the best arrangement for them. "My model outside has to be built so that it meets the requirements of all the codes, so to do that I need to have the necessary delegative authority from the loan owners to implement that model. Do vulture funds have a PR problem? "I can understand why both funds and banks would have a negative public perception and I think Ireland has been through a particularly difficult time. I think the crisis has been unlike what any recent generation has been through. "I think that is turning ... with the work we are attempting to do as a CSF by engaging with customers. "The perception that we would be seen to be doing vulture-like things in the Irish market is far from the case. "We're following the MARP (regulatory Mortgage Arrears Resolution Process), we're following the regulatory codes, we're detailing the customer standard financial statement and having long conversations with the customers based on that. "That to me is not vulture activity, that to me is what a bank would do." Mars Capital also says it works with clients of debt-solution organisations such as New Beginning and The Irish Mortgage Holders' Organisation to reach sustainable agreements with borrowers. Another commentator working in the sector who believes so-called vulture funds are playing an important role in the market here is Karl Deeter from Irish Mortgage Brokers. Mr Deeter says the funds "quite often do deals that the banks won't do and that's the frustrating thing - there's massive write-down being done by these funds, and to me that's a very positive development. "They're putting an end date - an end point - in situations that the banks have not had the courage or capacity to do. And sometimes finalising something is actually part of the solution. Now it might not end the way the person wants but this is an adult world where outcomes are based on decisions and consequences, not on what you want." What rights does a borrower have with a vulture fund? With regard to the rights of borrowers whose loans have been acquired by these funds, Mr Deeter says that "if you haven't engaged and you haven't been paying, you might find that the new buyer isn't going to sit on the fence and deal with 50,000 other problems and eventually get around to you. "They might try and get you to the top of the queue, and that is an absolutely fair outcome for people who will not engage with the process." However, he adds: "Your contractual rights are absolutely protected right the way through and the rules and laws of the way the Central Bank has designed this mean that whoever buys that loan - they might be unregulated - but the person who deals with you must be regulated and they must follow the regulatory process the same as if it was a bank, so there is no change in any way to your rights, obligations, and protections by someone different owning your loan". Mr Deeter says Irish homeowners have very strong protection when compared with other countries. "Just over 2,000 homes were repossessed in a country that experienced the biggest arrears and some of the biggest unemployment and biggest property crash of any country in the world. "To come through that with such small numbers is evidence that we do everything to protect homeowners. We've the most protected homeowners in the world." The Insolvency Service of Ireland (ISI) helps borrowers who are struggling to repay their debt and offers advice in reaching debt solutions with creditors. About once a year the ISI aims to meet with banks, funds, etc. that own mortgages in the Irish market. This process includes meeting with so-called vulture funds. ISI Director Lorcan O'Connor says his organisation, in its discussions with vulture funds, makes sure the funds are aware of insolvency solutions available to borrowers here. He says vulture funds have an "increasing role" in relation to the mortgage market here. An estimated 40,000-50,000 mortgages are currently owned by vulture funds in the country. Mr O'Connor says Ireland's personal insolvency regime is "groundbreaking" and nothing similar is tried anywhere else in the world. "From the personal insolvency perspective, the legislation does not differentiate between whether or not your mortgage lender is the traditional retail bank or a fund - all of the protections are the same and you can get the same solutions irrespective of who your lender is. "There are plenty of funds out there that would see huge value in a restructured loan because it is "brick and mortar and is therefore traditionally seen as a low-risk investment. "Secondly a restructured loan would tend to have very high security relative to the loan amount, so there isn't the negative equity involved. Thirdly there's a steady income stream, and that is often attractive to pension funds or other funds that are looking for long-term returns." Are vulture funds receptive to such proposals? "Some of them are, I think it is also fair to say that some of them aren't." Lorcan O'Connor says the legislation that we operate under "allows for court reviews and this is where creditors - including funds - don't agree with the PIP around a proposal that he or she may have tabled, and in those situations a debtor can go to the court and say 'judge, we believe this fund, or this bank, or this other creditor has been unreasonable and we want you to impose this proposal over their head'. "We have seen some particular rulings dealing solely with the fact it is a fund rather than a retail bank involved. On the suggestion that so-called vulture funds are considering longer-term debt solutions for borrowers, David Hall from the IMHO claims "they're under immense pressure, vulture funds at the moment. They'll say anything to keep everyone happy ... we've not seen any evidence of it. "There are no new products or no new restructuring platforms being offered by any of the vulture funds and I think they'll say anything at the moment to give themselves a bit of a break." Mr Hall says "you can't negotiate with a credit servicing firm, it's a third-party negotiation, it takes a lot longer."